Adelé is an interior decorating firm in Lexington, Kentucky that blends the creativity of design with the practicality of business. At Adelé, our passion for well-edited and clean interiors is balanced by our skill at delivering functional spaces that really work for our clients. While beautiful rooms are our top priority at Adelé, customer service and streamlined processes are our specialty. Our simplicity-driven approach to great design saves our clients time and money, while delivering gorgeous designs. While combining our clients’ visions and our expertise, our interior decorating team in Lexington at Adelé skillfully blend pattern, color and custom furnishings to create fresh and current interiors. When one of our interior decorators at Adelé comes to your home, we bring an extensive array of products covering all styles from classic traditional to modern contemporary. We will show you samples of custom window treatments, wall coverings, accessories, lighting and upholstered furniture, so you don’t have to run around town. 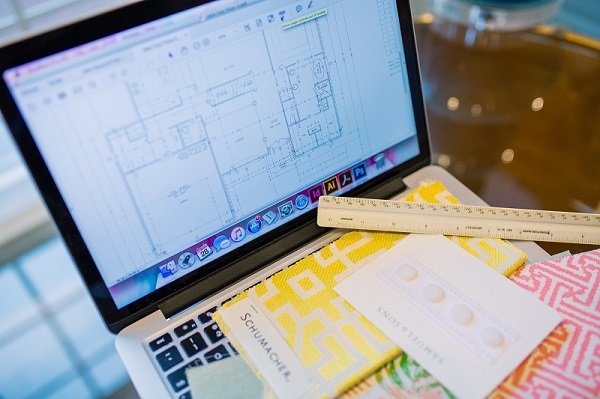 At Adelé, we pride ourselves on working side-by-side with you to accomplish your design goals. We know that every interior decorating project presents its own unique set of circumstances. Working with you, we’ll discuss the specifics of your project, helping determine the budget and some preliminary decorating design suggestions. By discussing your budget, we can bring products together and a design scheme that works best for you. No project is too big or too small for Adelé. Depending on the scope of the project, we may be able to get started with just one initial decorating consultation. Our initial consultation typically lasts about an hour. Larger projects may require more time for our appointment. After we have met, we will go to work creating an interior décor vision that complements your lifestyle, whether it is traditional, transitional or contemporary. At Adelé, will work with you from the idea stage all the way through delivery and installation of everything. We pride ourselves on working collaboratively with our clients to find the perfect products that satisfy both design style and budget. Adelé makes the experience of interior decorating easy and fun. We will work with you to determine a budget that accomplishes your goals, whether it is one room or more. You can relax knowing that everything we show you will fit within your planned investment. After all decisions have been agreed upon we will handle every detail, from the measuring, ordering, delivery and expert installation. At Adelé, our signature look is a reflection of you and our design tells your story. We make it personal. Our professional interior decorating team works diligently to ensure that your personality and lifestyle are reflected in every detail of your home. We make decorating your home easy for you and cost effective. We bring value to your home. We make your home special. Our interior decorating service ensures you that every detail will be attended to and that your experience will be a pleasant one. Our full service interior decorators at Adelé work with you from concept to completion. Since 2011, we’ve helped home owners in Lexington, Kentucky design the rooms of their dreams. Our interior designers know exactly how to convert your taste preferences into actual décor, while meeting deadlines and staying on budget. Because we take immense pride in our work, you’ll receive the highest quality interior decorating.